Has Tajikistan Burned Too Many Bridges? Russia and Kazakhstan mull the right to be forgotten and Stroehlein is tired of excuses. Is the government of Tajikistan, as the old adage goes, reaping what it has sown? This week RFE/RL’s Bruce Pannier worked through the possibility that Tajikistan has burned one bridge to many with the region’s only Islamist party–which could come in handy in actually combating extremism. There have been many times in the past when the HNIT and Rahmon’s government were able to cooperate to achieve common goals. The HNIT has supported government efforts as recently as 2011 to track down, and often eliminate, rogue HNIT commanders from the civil-war days. Unfortunately, that bridge is in flames. The ECJ ruling could be potentially cited in efforts to scrub information that reflects poorly on governments and/or their leaders. Local Internet-freedom activists say the way autocratic governments in both Kazakhstan and Russia restrict access to critical websites with filters and spyware shows they are not interested in justice, just control. And one last article worth reading this weekend is Andrew Stroehlein’s Friday dispatch. Stroehlein is Human Rights Watch’s European media director and recently attended a closed-door meeting of Euro-Atlantic diplomats working on Central Asia. He doesn’t name names–Chatham House Rules applied to the meeting–but he’s definitely not happy. “Meet the new Western diplomats on Central Asia; same as the old Western diplomats on Central Asia…” he begins. Stroehlein outlines the excuses uttered by some (“They are using fewer children in the cotton fields”) and the ad nauseam mantra of Western states that change will come to the region, in due course (“The region is transforming at its own pace” and his personal favorite: “strategic patience”). Needless to say, after 15 years focusing on the region, Stroehlein could use fewer metaphors and more tangible, sustained progress. 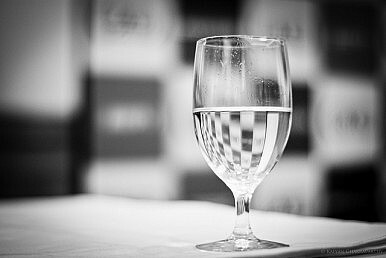 “You have to look at the glass half full rather than half empty,” I’ve been hearing in conference after conference for a decade and a half now. But if you need a water-level-based analogy for the state of human rights in the region, the dried-up Aral Sea is a more fitting one.